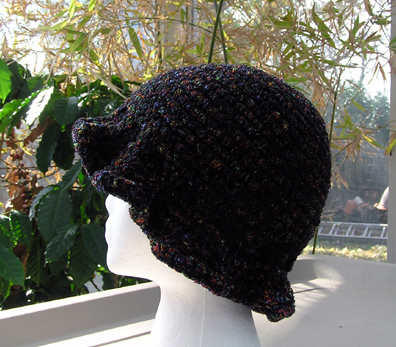 The Curly Brim is made with a bulky chenille yarn. 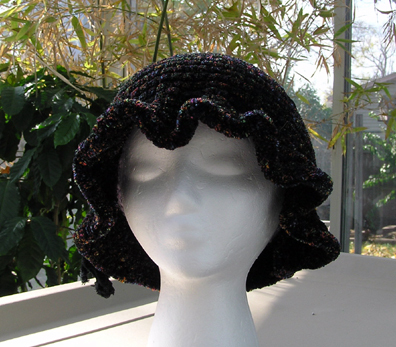 91% acrylic and 9% rayon. 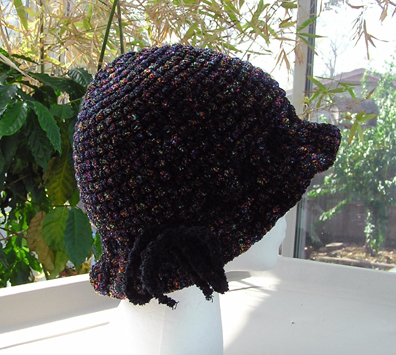 A soft and warm hat! 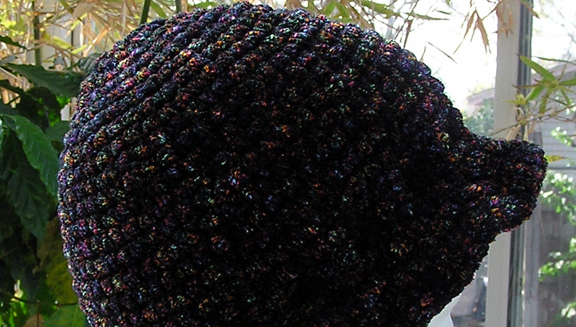 Color black with flecks of rainbow hue colors.